LUDLOW—Twelve days out from primary day, the parking lot at the Elks Lodge on Chapin Street was filling up with a long row of cars. Inside, the crowd of more than 125 were mostly in the back lining up along the refreshment table and scarfing down meatballs and finger sandwiches. Near the entrance three tables covered in sign-up sheets, “Chip for Senate” mailers and campaign swag greeted folks entering the hall. James “Chip” Harrington, in a grey suit, was at the door offering hearty handshakes to all who entered to rally with the son of Ludlow before the final push in the Democratic nominating contest for the 1st Hampden & Hampshire Senate district. A campaign staffer identified two other elected officials from the town, Patricia Gregoire and Michael Kelliher, both School Committee members among the crowd. Almost everybody else were folks Harrington had gotten to know, a sign of the amount of support and name recognition Harrington had built up in the town of 21,000 after a life in its public eye. Harrington is one of five Democrats competing for the party’s nomination to succeed Gale Candaras. Also running are Springfield City Councilor Tim Allen, Longmeadow therapist Thomas Lachiusa, former White House aide Eric Lesser, also of Longmeadow, and fellow Ludlowite, Selectman Aaron Saunders. Ludlow sits at about the geographic center of the district, which runs from Longmeadow to Belchertown, hugging Springfield’s southern, eastern and northern borders and encompassing the adjoining areas in the city. Through a combination of shoe leather, a personable demeanor and his foundation here in his hometown, Harrington has broken out into one of the race’s top tier candidates. Ludlow’s politics are legendary, but also in transition. It is the home of Rep Thomas Petrolati, who once sat at the epicenter of the probation scandal. Massachusetts Speaker John “Iron Duke” Thompson for whom some credit the existence of Ludlow’s turnpike exit once called the town home. Thompson’s career ended amid his own scandal in the 1960’s. Like many towns President Obama won here by the same margin as Scott Brown, but the town has slid more to the right than other such towns. However, Ludlow is also the same town that spawned both Harrington and one of his opponents, Saunders. 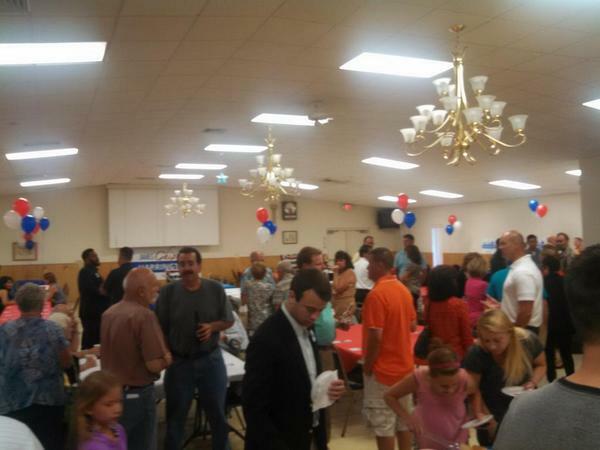 Harrington has run as a “moderate” Democrat, while Saunders is widely viewed as very liberal ideologically. In the course of this race, Harrington’s platform has held to his label. For example, he is not taking pledges on taxes, but opposes indexing the gas tax to inflation (as do three of his opponents). Other views are not necessarily shaped by the town’s politics itself. Harrington’s positions on the opiate epidemic appear to be informed by his job as a reserve police officer in Ludlow. The night before sitting for an interview about his career in Ludlow civic life, he had been called to the scene of an overdose. Narcan, an antidote to opiate overdose, was administered by paramedics and saved the victims life. Harrington supports equipping all police officers with Narcan. Over the course of nearly 30 years, Harrington has held numerous positions within town government. His interest started very young when he began riding his bike to town meetings, intrigued by the idiosyncratically New England form of government. Eventually, Harrington’s curiosity got noticed and he was appointed to a town study committee investigating changes to local government. “I was the Eric Lesser on the committee,” he said referring to his opponent’s early start in politics, also in local government. That early interest evolved into a successful bid for recreation commissioner, where he started a number of youth sports programs like a youth football league. Most of the commissioners were older, he said, mostly interested in the golf commission side of the body’s duties. Harrington parlayed that record into a campaign for selectman. Winning one of two seats in a 10-way race, Harrington’s new role had expansive responsibilities. 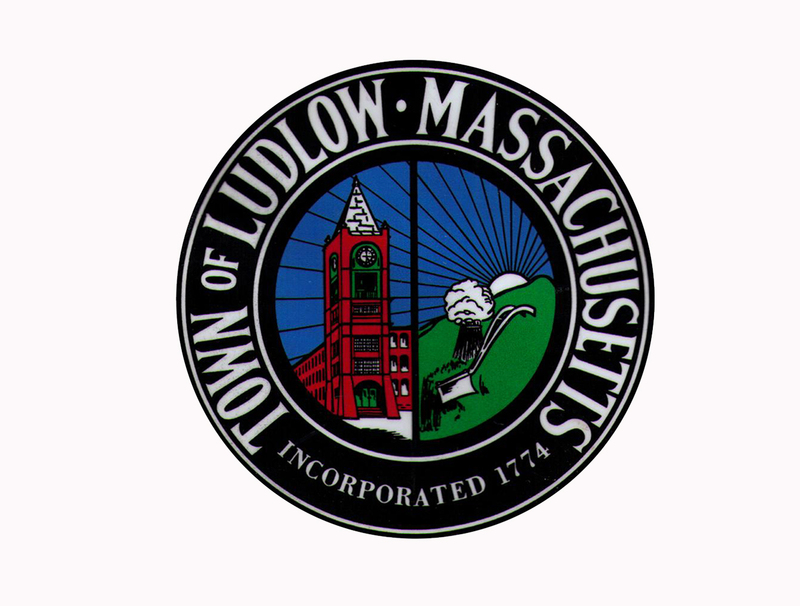 In towns like Ludlow the Select Board serves as the town’s executive branch. Budgets and by-laws are approved by Representative Town Meeting. His tenure was relatively brief, lasting a single a term. However, he noted a memorable issue before the Board: the town’s emergency medical services. Harrington recalled the a debate about whether the town would privatize those services, which had resided within the fire department. A majority supported that, but Harrington said he feared the loss of control over the service (plus the ambulance company and not the town would receive payment for transfers to the hospital). In 1997 Harrington declined reelection, as he and his wife Noel were starting their family. Contemporary media reports at the time also cited the time conflicts with his then-job as an aide for Petrolati. Harrington would seek the Town Clerk’s position— an elected position in Ludlow—in 1998, but was unsuccessful. However, Harrington remained in the public eye after he was approached by public access to do a program for the town’s 225 anniversary in 1999. The one-time gig became a regular feature on Ludlow public access. Covering everything from elections to bake sales, Harrington remains on air and even interviewed candidate for this year’s DA race. During that gap between select board and his return to elected government on the school committee in 2005, Harrington was still active in politics. While at the State House he had developed relationships with Shannon O’Brien and Stephen Lynch, both whom served as reps with Petrolati. Harrington worked on O’Brien’s gubernatorial campaign and remained close to Lynch, helping him years later with his 2013US Senate bid. In some ways, though, Harrington’s presence on the school committee may be the most salient to his senate campaign. He touts accomplishments like the Committee’s installation of a solar project on a landfill. It is projected to save the school department upwards of $2.5 million over its first 10 years. He also noted the district’s move toward becoming a Level I school district. Other members of the school committee have suggested that for the most part the body attempts to find unanimity wherever possible. However, the subject of the PARCC-CORE test is another story. Harrington said he opposed the speedy implementation of the online standardized testing. In contrast to the commonwealth’s education reform of the early 1990’s, Harrington argued that this standard was originating entirely out of state Education Commissioner Mitchell Chester’s office. The test is refers to the Common CORE standards, developed by private entities but supported by the federal Education Department. Its formula has prompted consternation on the right and the left. Harrington expressed concern that the program was being implemented too quickly and that it lacked the imprimatur of democratic consent because neither the people nor the legislature approved it. Ludlow opted to stay with the original MCAS tests for now, but Harrington was critical of standardized testing generally calling it “Another distraction away from the hands-on learning that the students are doing.” He acknowledged that testing should be done, but not given the same emphasis as right now. Long term, the fate of the exam in Ludlow may depend on what happens with state education policy makers, although it has sharply divided the Committee sources say. With only a few days left until the primary, Harrington’s expansion outside of his hometown could either end soon or last another eight weeks until November. Harrington was somewhat philosophical saying that losing would hardly be the end of his world. He may yet, whatever happens Tuesday. At only 46, Harrington still has plenty of time.